We are so excited for Angela and Joe's upcoming winter wedding! They are getting married this January in Holyoke and are wishing for a snowy wedding day! We can't wait to see what fun winter shots we will be able to capture...but in the mean time, let's talk about their fun engagement session! We started out at the nearby water reservoir which was absolutely beautiful and so serene. 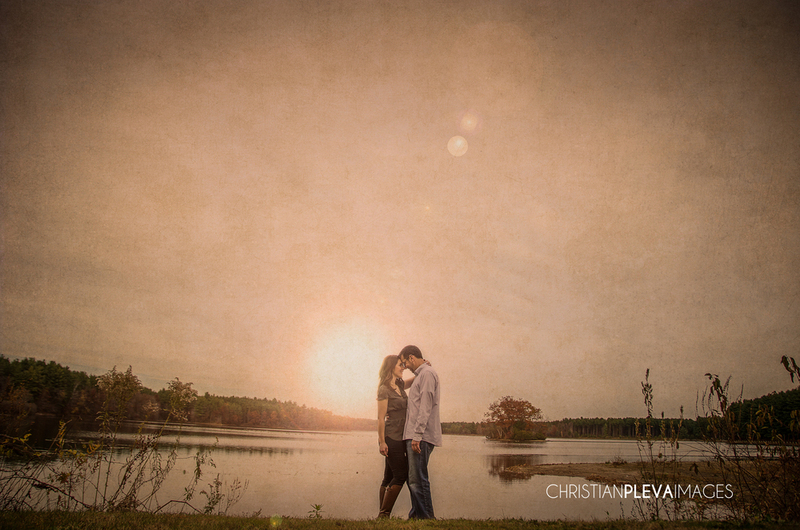 It was so great being able to shoot in such a picturesque location, with such a laid back and fun couple. We even wandered into the trees and found the railroad track to shoot on! Here are a few of our favorites, hope you enjoy!